Few understand the amazing highs and lows of the Playoff gauntlet better than Steph Curry, who has experienced the incredible euphoria of a championship twice, and the immense effort and dedication – both mentally and physically – that the journey requires. 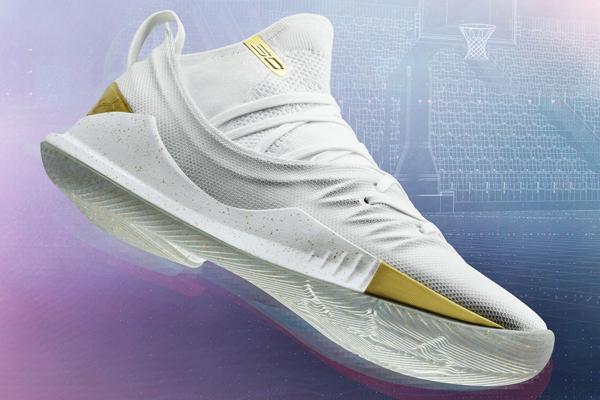 In homage to Stephen’s return and journey to the NBA Finals, Under Armour is dropping two new colorways of the Curry 5; the Curry 5 UA Takeover Edition_1 and UA Takeover Edition_2. 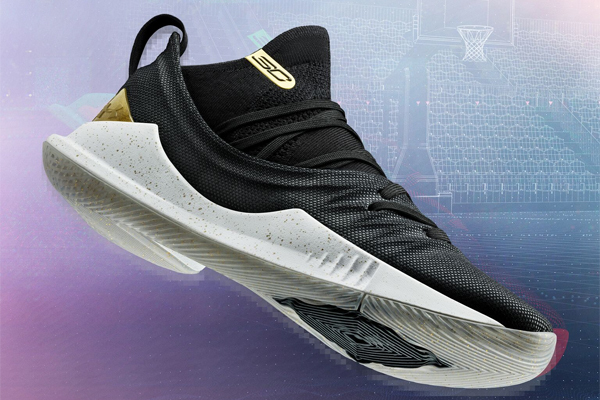 The UA Takeover Edition_1 has a full black upper with black lacing, in contrast to the white colorway, an all-white upper with white laces. Both colorways feature a speckled white midsole that pops in contrast. 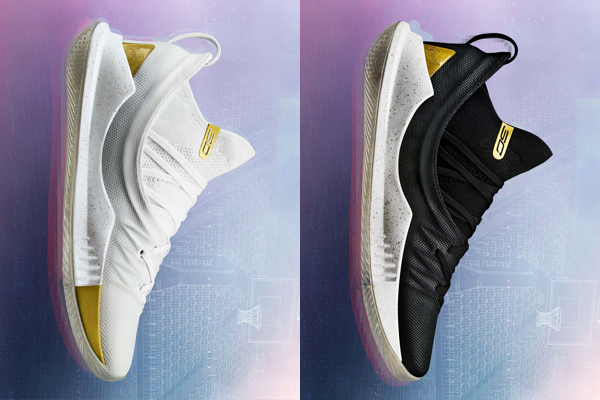 Crucially, though, both colorways share a common trait: a highlight of gold on the heel and near the tongue represents all of the highs and the lows – victory, defeat, will, hard work, preparation and the ability to push past doubt and exhaustion to reach new levels of greatness – all working together towards the common goal of the NBA Playoffs: a world championship.